The cutthroat inbox of your standard consumer roils with marketing messages, competitive subject lines, and scores of attention-seeking emails. With over 144 billion emails sent each and every day, email marketing remains one of the elite channels for business communication. So how does the signal separate itself from the noise? To be sure, finding the key to a stand-out message is critical to your bottom line—whether that bottom line is cold, hard cash or community engagement or anything in between. What follows are eight inbox-tested email marketing strategies that successful senders have used to get their emails clicked. No more “Dear [INSERT NAME HERE]”. The practice of personalized email greetings is not nearly as effective as it may seem. In fact, research by Temple’s Fox School of Business suggests that this particular kind of personalization could be harmful. 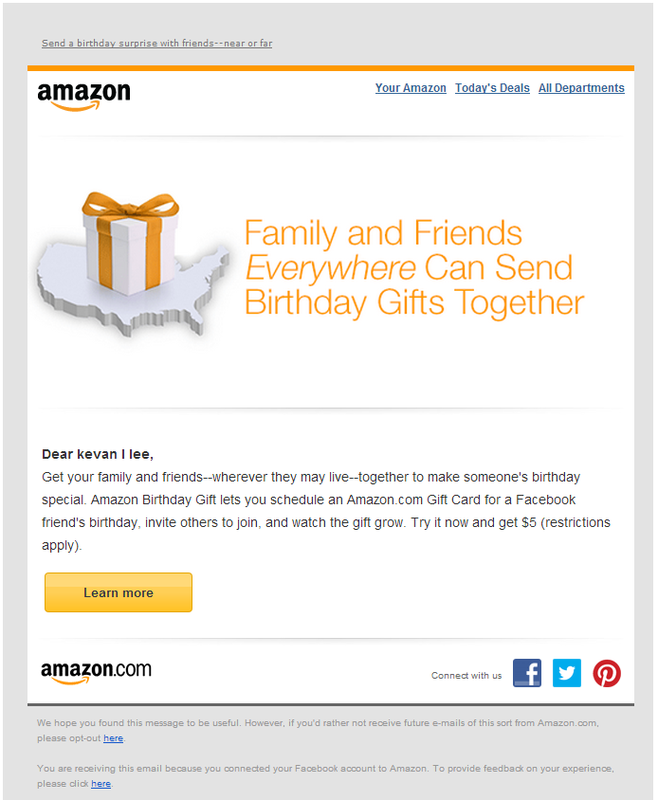 A significant element of email marketing is relationship. Does a recipient trust you? Does a recipient even know who you are? When an email jumps the gun by forcing familiarity too soon, the personalization comes across as skeevy. Intimacy is earned in real life, and it would appear to be the same way with email. Take this example from my inbox; no one has called me lowercase kevan l lee in years. (The study) also found that product personalization, in which customers are directed to products that their past purchasing patterns suggest they will like, triggered positive responses in 98 percent of customers. 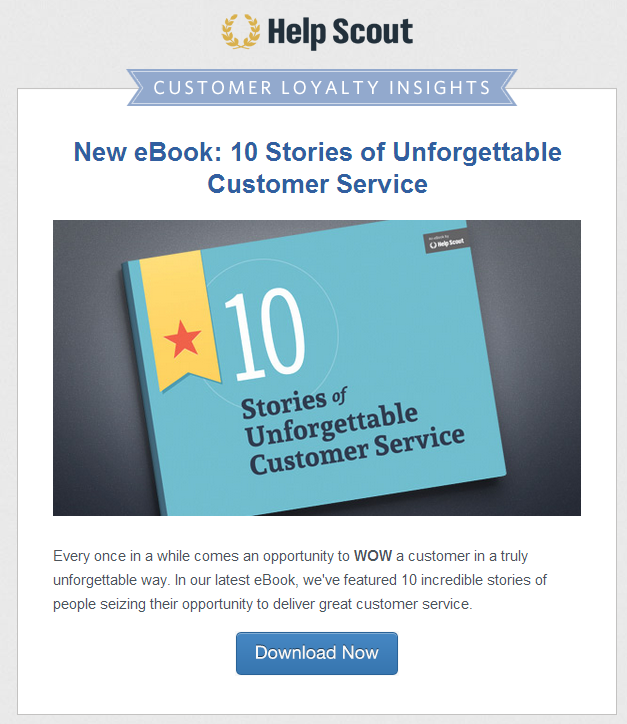 The takeaway here is that if you are to use personalization as an email strategy, do so in a meaningful way. It takes little knowledge or relationship to place someone’s name in your greeting. It shows far greater care to send personalized email that is specific to a recipient’s needs and history. 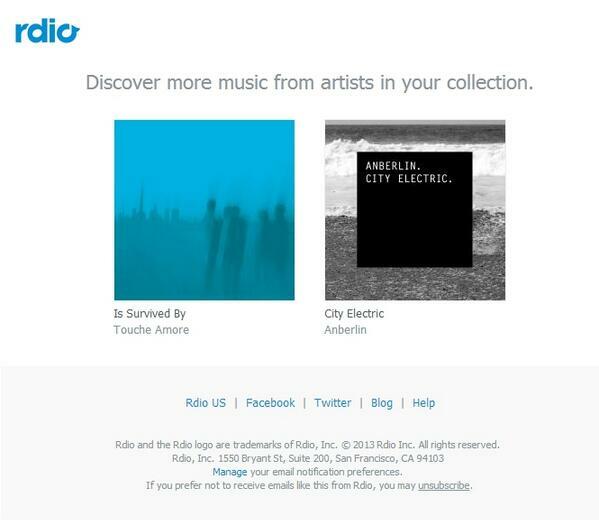 Again, an example from my inbox, this email from Rdio dispenses with the formalities and simply provides an update on music I actually listen to. When it comes to deciding how to craft that perfect subject line, there appears to be really only one area to avoid: the subject line of 60 to 70 characters. Marketers refer to this as the “dead zone” of subject length. According to research by Adestra, which tracked over 900 million emails for its report, there is no increase in either open rate or clickthroughs at this 60-to-70 character length of subject line. Conversely, subject lines 70 characters and up tested to be most beneficial to engage readers in clicking through to the content, and subject lines 49 characters and below tested well with open rate. In fact, Adestra found that subject lines fewer than 10 characters long had an open rate of 58%. 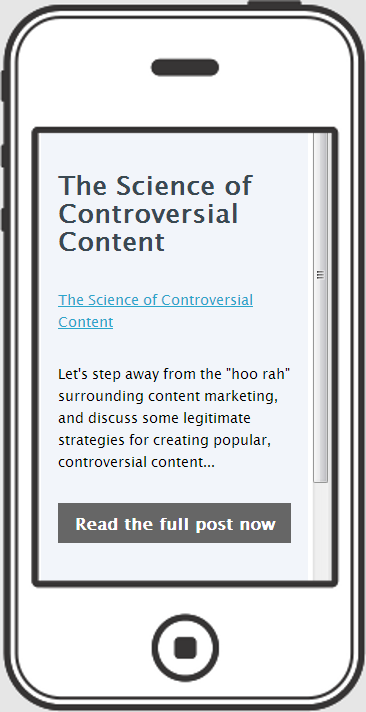 So the question becomes: Do you want to boost clicks (response) or opens (awareness)? Go long for clickthroughs; keep it short for opens. Optimal mailing time often depends upon your customers’ behaviors, inbox crowding, and the deployment times of other marketers. Inbox crowding and the deployment times of other marketers go hand-in-hand; if your email goes out when few others do, it stands a greater chance of getting noticed (so quick, start sending between 8:00 and midnight before everyone else catches on). Consumers love a free lunch—or a free template. In a study on their email list of 6,300 subscribers, Bluewire Media tested various types of content to see what led to the highest rates for opens and clicks. 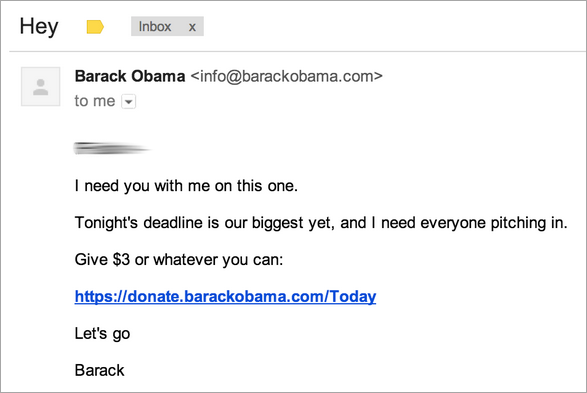 The winner was templates and tools, just the kind of freebies that email readers want. Many a consumer will ask, “What’s in it for me?” When it comes to resources, Bluewire Media’s test results say that templates and tools outweigh ebooks, expert interviews, brain teasers, and even photo albums. You will want to test with your own list, but certainly use Bluewire’s research as a head start. Mobile opens accounted for 47 percent of all email opens in June, according to numbers provided by email marketing firm Litmus. If your email list accounts for $100,000 in sales each month, could you afford to wave bye-bye to $44,000 just because your email looks funky on a mobile phone? Social media may be the young whippersnapper nipping at email’s heels, but the content king of the inbox still holds sway in social influence, according to a study by SocialTwist. Over an 18-month period, SocialTwist monitored 119 referral campaigns from leading brands and companies. 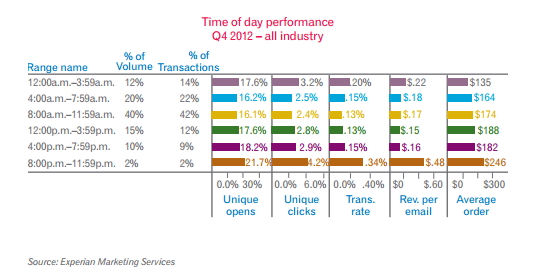 The results showed a significant advantage to email’s ability to convert new customers compared to Facebook and Twitter. Email ruled supreme, by almost double. Again, the volume of email sent on the weekends is low, just like the volume for evening emails, which could help those messages stand out more. The margins for clickthrough, open, and sales rates were not substantial, but in email marketing, every little bit counts. Your list is huge. Great! The only problem is that two-thirds of it may be inactive. Research has found that the average inactivity for a list is 63 percent, meaning that once someone joins they are less likely to ever follow-up with your follow-up emails. Email marketing firm Listrak goes so far as to identify the first 90 days as the window for turning a sign-up into a devotee (and they lay out a plan for doing so). 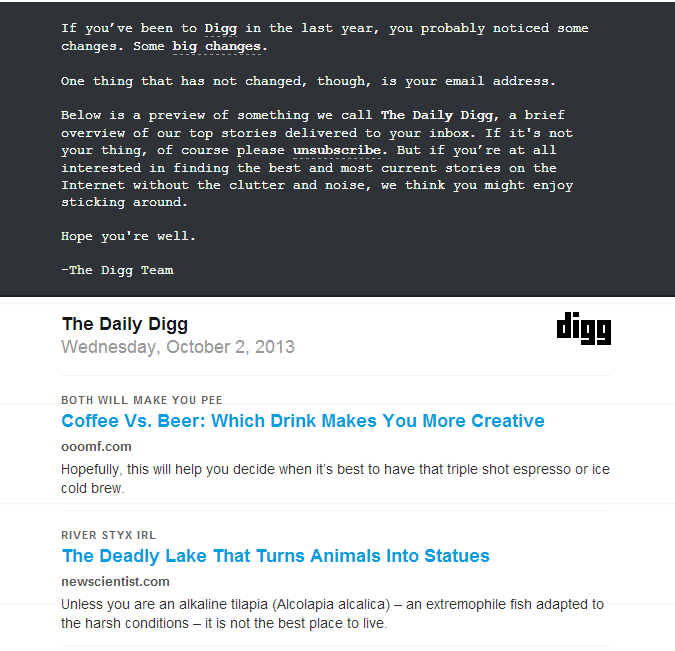 Recently, a re-engagement campaign from Digg wound up in my inbox. The subject was catchy (“This Is Not An Email From 2006”), and the content helpfully explained what the email was all about. As with everything that we call science, it’s all about doing experiments. Very likely, if you are doing your own experiments, you might actually have found different results. 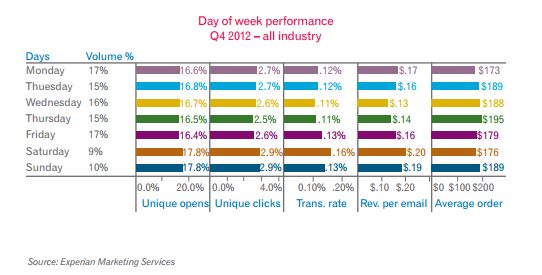 What are your best email strategies and email marketing tips? Tell us in the comments below! PS: If you enjoyed this post, you might also like our best tips and tools for managing emails. Oh and Buffer lets you schedule your retweets. Take a look in case that might be helpful for your Tweeting!